In recent months, the Trump administration took several economic and diplomatic measures against the Palestinian Authority (PA), including cutting funding for the United Nations Relief and Works Agency for Palestine (UNRWA), as well as closing the Palestine Liberation Organization (PLO) mission in Washington, D.C. These are likely driven by the Trump administration’s desire to act in accordance with perceived US national interests only, as well as to challenge the status quo, thus forcing the PA to return to negotiations and adopt more flexible positions vis-a-vis Israel. While the measures have exacerbated heightened tensions between the US and the PA, as well as domestic tensions, in the near-term, they are unlikely to lead to broad hostilities between Israel and Gaza, or large scale unrest in the West Bank. Nonetheless, the measures will likely contribute to an uptick in “lone-wolf” attacks by Palestinians targeting Israeli civilians and security personnel in the West Bank and Jerusalem, as well as fuel the ongoing civil unrest along the Israel-Gaza border. Travel to Israel may continue at this time while adhering to security precautions regarding militant attacks, while avoiding the immediate vicinity of the Syrian, Lebanese, and Egyptian borders, due to the persistent risk for cross-border violence. 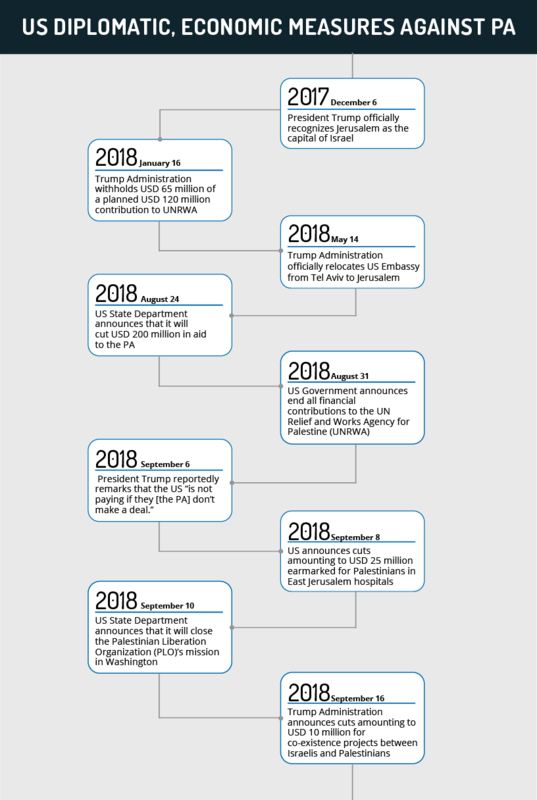 On August 31, the US State Department announced that the US Government will end all financial contributions to the United Nations Relief and Works Agency (UNRWA), which officially provides Palestinians with healthcare, education, and social services. The statement described the agency as an “irredeemably flawed operation”, further citing its unwillingness “to shoulder the very disproportionate share of the burden of UNRWA’s costs”. The US regards UNRWA’s business model as “simply unsustainable” due to its “endlessly and exponentially expanding community of entitled beneficiaries”, namely the bestowing of refugee status to descendants of Palestinian refugees following the Arab-Israeli conflict of 1948-49. Meanwhile, on September 10, the US State Department announced that it will close the Palestine Liberation Organization (PLO) mission in Washington, citing the PLO’s “refusal to engage with the US government with respect to peace efforts”. The Trump administration’s decision to halt all funding to UNRWA comes amidst a series of policy changes vis-a-vis the Palestinians over the last year. On December 6, 2017, President Donald Trump officially recognized Jerusalem as the capital of Israel, followed by the relocating of the US Embassy from Tel Aviv to Jerusalem on May 14. In January, the Trump administration withheld 65 million USD of a planned 120 million USD contribution to UNRWA. More recently, on August 24, the US State Department announced that it will cut a further 200 million USD in aid to the Palestinians, followed by the September 8 announcement of cuts amounting to 25 million USD earmarked for Palestinians in East Jerusalem hospitals. The UN agency is funded almost exclusively by voluntary contributions from UN Member States. The cuts in the US’s contribution amount to approximately 300 million USD in planned funding for UNRWA. The US had previously contributed almost 30 percent of UNRWA’s 1.1 billion USD 2017 budget. The PA has not engaged with a US-brokered diplomatic process since the latter’s recognition of Jerusalem as the capital of Israel in December 2017. The Trump administration’s series of diplomatic and economic measures are likely motivated by two reasons. First, the decision is consistent with President Trump’s broader “America First” doctrine, which emphasizes a foreign policy that prioritizes perceived US national interests. This has manifested in the desire to demand that other governments increase their share of the budgetary burden for numerous international organizations. Thus, President Trump seeks to reduce UNRWA’s reliance on the US, as the latter had been paying almost 30 percent of UNRWA’s budget prior to the cuts and the Trump administration does not believe that UNRWA serves its national priorities. Given the administration’s attempts to challenge previously held international consensus on issues such as the status of Jerusalem and Palestinian refugees, the UNRWA cuts are likely driven by the US’s goal of encouraging the Palestinians to return to the negotiating table and make concessions. By challenging the status quo, the US likely seeks to exert pressure on the PA to adopt more flexible positions on areas of policy that have long been considered non-negotiable by the Palestinian leadership. President Trump’s reported remarks on September 6 that the US “is not paying” (with reference to US aid to the Palestinians) if the Palestinians “don’t make a deal”, strengthens this assessment. Furthermore, the US measures should be understood within the broader geopolitical context pertaining to the widely anticipated US-sponsored peace plan. Alongside the US’s attempts to force the Palestinians to make concessions, Egyptian authorities have sought to encourage both a Hamas-Fatah reconciliation process and, simultaneously, an Israel-Hamas long-term ceasefire, much to the chagrin of PA President Mahmoud Abbas, whose Fatah Party was reportedly excluded from the ceasefire talks. As the PA strives to return to control the Gaza Strip, such an exclusion may have been interrupted by Abbas as sign that he is considered irrelevant to the Gaza negotiations. Meanwhile, the US reportedly seeks to leverage a reported warming of ties between Israel and the Gulf countries, in addition to Egypt and Jordan, to promote its diplomatic plan and help to harness this growing relationship to exert pressure on the Palestinian leadership to yield to the US’s demands. Overall, the developments represent a weakening of the Abbas-led PA, which the US is likely seeking to take advantage of to promote their own interests. However, the US measures are unlikely to succeed. Rather, they will likely exacerbate already heightened US-PA tensions. Given that the right of return of Palestinian refugees is considered by all Palestinian factions to be a prerequisite for the conclusion of the conflict, any international decisions pertaining to the refugee question are highly sensitive. In this context, the US’s decision to cease its funding of UNRWA, represents a perceived “flagrant assault against the Palestinian people” for the Palestinian leadership because it likely views such a decision as undermining the “right of return”. Therefore, the US’s efforts are prone to reduce the PA’s willingness to engage in a US-brokered diplomatic process. If PA President Abbas was perceived as agreeing to US demands on the right of return and the status of Jerusalem, this would significantly undermine him in Palestinian public opinion due to the sensitivities surrounding these issues. Furthermore, it would present an opportunity for more extreme Palestinian factions, such as Hamas, to undermine the PA and sabotage any diplomatic process. FORECAST: Given precedent, and the failure of previous measures to bring the Palestinians back to the negotiating table, the strategy is more likely to strengthen the Palestinian leadership’s refusal to engage and will therefore undermine the US-sponsored peace initiative due to this refusal. Overall, we do not assess that the US measures will lead to a broader violent uprising in the Palestinian Territories. On the contrary, the Israeli security apparatus continues to deter sophisticated acts of militancy exceptionally well, despite constant attempts to destabilize the security environment. 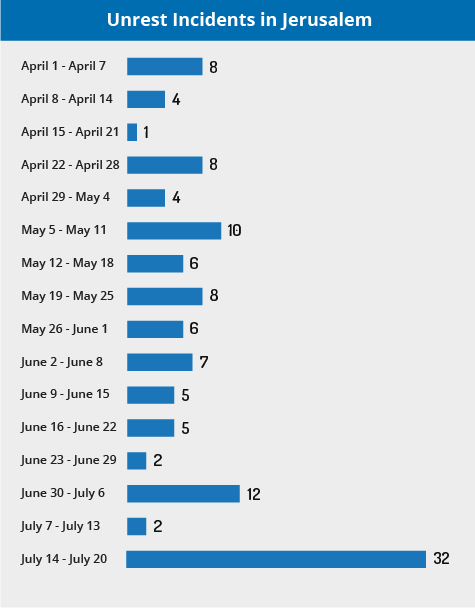 For instance, in June, Israel Security Agency (Shin Bet) Director Nadav Argaman revealed that 250 acts of militancy, including suicide bombings, kidnappings and shootings, had been foiled by security forces in the first half of 2018. Furthermore, despite the lack of diplomatic engagement, the security collaboration between Israel and the PA remains stable and adds to the overall excellent security environment. Indeed, this cooperation is the only remaining Palestinian institution that the US continues to fund, in the form of the office of the United States Security Coordinator (USSC), which provides direct financial assistance and support to the PA Security Forces (PASF). FORECAST: Taken as a whole, over the short-term, we do not anticipate that there will be an uptick in sophisticated, large-scale acts of militancy in the West Bank. However, alongside the tangible, adverse economic effects of the cuts to UNRWA and additional aid, the broader series of economic and diplomatic measures is liable to exacerbate existing frustration and the Palestinians’ sense of marginalization. As a result, this perception may lead to an uptick in small-scale acts of militancy, motivated by these grievances. For instance, in the aftermath of the Trump administration’s recognition of Jerusalem, a slight temporary uptick in “lone-wolf” attacks was recorded, representing the increased sense of marginalization amongst the Palestinian populace. The question of the right of return of refugees is a similarly emotive and sensitive issue for Palestinians and any attempt to undermine this perceived right is liable to ignite Palestinian violence. FORECAST: As a consequence, over the coming weeks and months, this anger could manifest in an increase in the volume of “lone-wolf” attacks such as throwing of Molotov cocktails, stabbings, shootings, and vehicle-ramming attacks on security forces and civilians, primarily in the West Bank and Jerusalem. With respect to the Gaza Strip, UNRWA services, in part, play an important role in stabilizing the Palestinian security environment. UNRWA officially provides vital employment opportunities, medical services, and educational institutions. For instance, in Gaza, 240,000 students study at 252 UNRWA-run schools, illustrating the importance of such aid in helping to alleviate economic challenges. FORECAST: With this in mind, the cuts to UNRWA are liable to exacerbate the precarious economic crisis. Given precedent, as Hamas tends to divert Gazans’ attention away from such economic crises and rather than permit criticism of its governance, this will likely redirect Gazans’ grievances towards Israel. Hamas’ resistance to Israeli policy, at present, typically manifests through the enabling, or instigating, of unruly riots on the Israel-Gaza border, encouraging the hurling of Molotov cocktails and incendiary balloons and kites into Israel, as well as infiltration attempts. In the short-term, these acts of unrest are likely to continue but are unlikely to cause a significant escalation. However, over the medium- and long-term, as the impact of the UNRWA cuts aggravates the economic crisis, there will be an elevated risk that Hamas will be forced to resort to armed conflict out of desperation, manifesting in rocket attacks, sophisticated infiltration attempts utilizing Hamas’ tunnel network, and mass riots on Israel’s borders. Nevertheless, overall, over the coming months, a significant change to the travel security environment that would have an impact on business continuity in Israel is unlikely. Travel to Israel may continue at this time while adhering to security precautions regarding militant attacks, while avoiding the immediate vicinity of the Syrian, Lebanese, and Egyptian borders, due to the persistent risk for cross border violence. Those traveling in the 40 km area surrounding the Gaza Strip should continue adhering to all safety precautions regarding early warning sirens for incoming rockets. In case you hear a siren, seek shelter in a protected area and remain inside for at least 10 minutes. Business-essential travel to Ramallah can continue at this time, while maintaining heightened vigilance in Bethlehem. Adhere to basic security precautions regarding the threats of civil unrest and militancy. 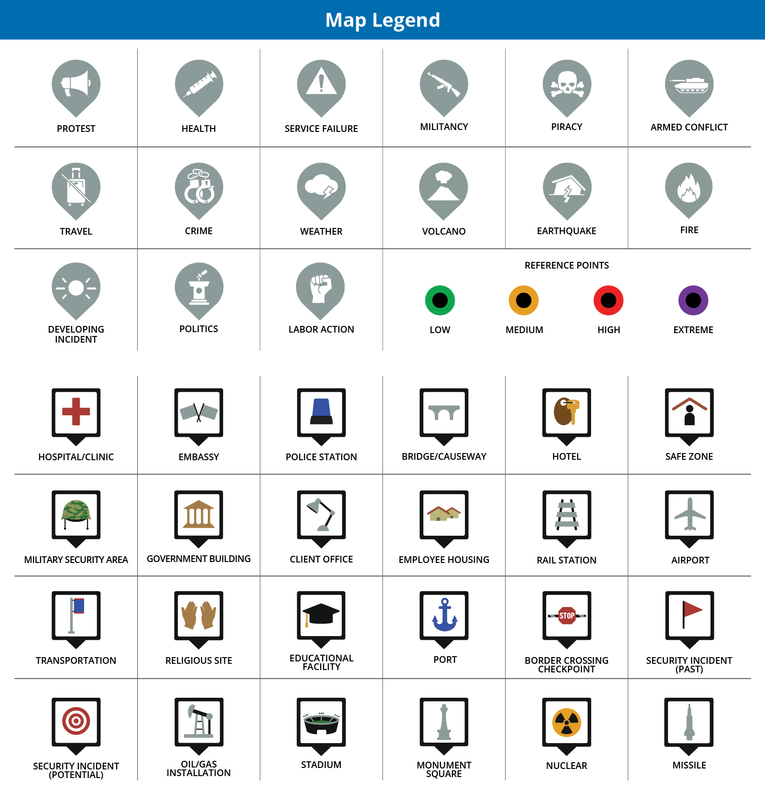 Consult with us for itinerary-based recommendations and ground support options. Avoid nonessential travel to other Palestinian-controlled areas of the West Bank, including refugee camps, at this time given the persistent threat of civil unrest. We advise against all travel to the Gaza Strip at this time due to continuous border crossing closures and the threat of militant activity. If travel is essential, prior to entering Palestinian-controlled areas from Jerusalem-area checkpoints, confirm that crossings remain open and no unrest is taking place. Crossings near the cities of Jenin, Qalqilya, and Tul Karem remain less prone to violence. Minimize night travel in major cities, as the majority of IDF and PA security operations occur at this time, particularly in the vicinities of Palestinian refugee camps. The official Syrian news agency reported that missiles targeted military sites in Aleppo and Hama provinces, during the overnight hours of April 29-30. According to a pro-government media outlet, an arms depot belonging to the Syrian Arab Army’s (SAA) 47th Brigade in Hama Governorate was targeted. As for Aleppo Province, the exact target of the attack has yet to be specified. No official confirmation regarding the perpetrator of the strikes has been released at the time of writing. Reports additionally indicate that the target was an underground bunker containing more than 100 long-range accurate missiles. Moreover, reports indicate that missile attacks killed 26 pro-Syrian government fighters at Hama’s arms depot, many of whom Iranians. However, according to an IRGC-linked media, the reports regarding Iranian deaths as a result of the strikes are “baseless”. According to reports quoting a US military source, the US-led coalition is not beyond the attack. The incident comes amidst an uptick in Israeli strikes against Iranian-linked facilities across Syria over the past months. On April 9, Israel reportedly targeted Homs Province’s Tiyas Military Airbase with missiles, which resulted in the killing of seven Iranian troops. In addition, on February 10, Israeli Air Force (IAF) aircraft targeted 12 facilities, including three Syrian aerial defense batteries and four Iranian military bases. Therefore, we assess that the overnight strikes were similarly carried out by Israel. Nonetheless, the incident is notable given its scale-and-scope, as the number of reported casualties is significantly higher than Israel’s usual attacks in Syria. Such attacks, especially in light of the reported Iranian casualties as a result of the recent incident, highlight Israel’s persistent efforts to contain the growing Iranian influence across Syria, as well as its increased willingness to conduct large-scale assaults deep in Syria in order to achieve this goal. Moreover, the development follows multiple Iranian threats of attacks against Israel in the wake of the above mentioned Israeli strikes in Homs Province, which resulted in the killing of Iranian troops. The strikes are potentially an attempt by Israel to send a deterring message to Tehran, as well as that it will continue to operate in Syria, in spite of Iran’s threats. Furthermore, as underscored by the reports regarding the base containing more than 100 accurate missiles, the incident demonstrates Israel’s determination to target military installations containing weapons or systems considered to be jeopardizing Israel’s technological edge and national security. FORECAST: Given the reports regarding a high number of Iranian casualties, Tehran will likely seek to carry out a significant act of retaliation against Israel. This may include the launching of armed Unmanned Aerial Vehicle (UAV) into Israeli territory and target a military base, in a similar fashion to the February 10 incident, during which an IAF helicopter intercepted an Iranian UAV in Israeli airspace. Additional response may include attempted attacks against Israeli and Jewish interests across the globe, potentially official or diplomatic facilities. Additionally, albeit slightly less likely, attacks against Israel Defense Forces (IDF) border patrols on the Israeli side of the Golan Heights may also be recorded. Should these materialize, they will likely involve shootings, IEDs, or the use of anti-tank missiles. We advise against all travel to Damascus and Aleppo, given the general threat of indiscriminate aerial bombardment and artillery shelling from government forces as well as attacks by various groups. Attacks by rebel forces may include the use of rocket propelled grenades, suicide bombings, and mortar attacks. Those remaining in Damascus should ensure that contingency and emergency evacuation plans are updated due to the potential for a further deterioration in the security situation. Avoid all travel to outlying areas of the city given the persistent threat of militancy. Restrict essential travel to areas west of the Old City while avoiding travel to the Old City itself due to the risk of mortar fire and threat of militancy. Avoid all travel to outlying areas and cities including Daraa, Homs, Hama, and Idlib due to persistent fighting and heightened risk of kidnapping targeting foreigners, particularly in combat zones and rebel held areas. Those residing or operating in Israel are advised to monitor the situation in the vicinity of the border areas regarding incidents of cross border hostilities and possible rocket attacks. Remain cognizant of the situation along the Lebanese and Syrian border areas, as minor hostilities between various groups can escalate into a broader conflict. Reports indicate that Homs Province’s Tiyas Military Air Base was targeted with missile strikes during the early morning hours of April 9. According to Syrian pro-government sources, its Air Defense System intercepted five of the total eight guided missiles that were used. According to the Syrian Observatory of Human Rights (SOHR), at least 14 pro-government soldiers were killed, including an unspecified number of Iranian forces. While Syrian state media initially described the incident as “American aggression”, Pentagon officials have reportedly denied any US involvement. According to a Russian state news agency, the Russian Defense Ministry stated that the Israeli Air Force (IAF) carried out the strikes from Lebanese airspace with two F-15 fighter jets. The Israel Defense Forces (IDF) have not issued any comment regarding the development. The development comes amidst a marked increase of tensions between Syrian pro-government forces and Israel over the past months. This is highlighted by the February 10 launch of an Iranian unmanned aerial vehicle (UAV) into Israel from Tiyas Military Air Base. While the IAF retaliated by conducting strikes against four pro-government bases in Syria, the downing of an Israeli F-16 fighter jet with Syrian anti-aircraft fire during this action marked an achievement for the Syrian pro-government forces unprecedented in recent years. As these developments highlight the growing willingness of Iran and Syrian pro-government forces to challenge Israel, we assess that the aforementioned reports ascribing the current missile strike to the IDF are highly credible. The operation follows the February statement by Hezbollah Leader Hassan Nasrallah, who praised the aforementioned downing of the F-16 fighter jet as “beginning of a new strategic era which puts an end to the violation of Syrian airspace and territory”. Thus, the targeting of Tiyas Military Air Base, which lies deep within Syrian territory, serves to reassert Israel’s deterrence and the countries’ adherence to its well-established policy of targeting any pro-government facilities which are liable to threaten Israel’s military and technological edge. More significantly, in light of Israeli concerns about the growing fortification of Iranian operational bases in Syria, the current missiles strikes demonstrate Israel’s increased resolve to target military installations used by Iranian forces. Meanwhile, the Russian Defense Ministry statement holding Israel responsible is unprecedented, and thus highly notable. While Israel has carried out multiple airstrikes in Syria over the past years, since September 2015, Israel and Russia have coordinated such strikes through a bilateral deconfliction mechanism in order to mitigate the risk of conflicts between their armed forces. While the maintenance of this channel was hitherto regarded as tacit Russian approval of IDF action in Syria, the current statement indicates Moscow renunciation of this policy. FORECAST: Such a development would reduce Russia’s ability to function as a diplomatic backchannel to de-escalate tensions between Israel and Iran. Furthermore, it decreases the likelihood that Russia will pressure Iran to desist from expanding its presence near the Syrian-Israeli border. As a result, Israel will likely consider more robust military measures in order to contain this threat. Thus, over the coming months, the IDF is liable to increase airstrikes against Syrian pro-government targets across Syria, including Iranian bases. FORECAST: Moreover, while Iran and its proxy forces are likely not interested in a broad escalation of hostilities with Israel at this point, the fact that Russia openly named Israel as the perpetrator of the current missiles strikes may pressure them to conduct retaliatory measures. While we assess that any such action will likely remain localized, more sophisticated attacks, such as IED detonations or RPG attacks targeting IDF soldiers positioned along the border cannot be entirely excluded. Should such a scenario materialize, both parties may be forced to react with increasing force to perceived transgressions of the other party in order to reassert their deterrence. Thus, while broad conflict between the parties remains unlikely to erupt over the coming months, a gradual increase of hostilities alongside the Syrian-Israeli border cannot be ruled out. We advise against all travel to Damascus and Aleppo, given the general threat of indiscriminate aerial bombardment and artillery shelling from government forces as well as attacks by various militant groups. Attacks by rebel forces may include the use of rocket-propelled grenades, suicide bombings, and mortar attacks. Those remaining in Damascus should ensure that contingency and emergency evacuation plans are updated due to the potential for a further deterioration in the security situation. Avoid all travel to outlying areas of the city given the persistent threat of militancy. Those residing or operating in Israel are advised to monitor the situation in the vicinity of the border areas regarding incidents of cross-border hostilities and possible rocket attacks. Remain cognizant of the situation along the Lebanese and Syrian border areas, and continue adhering to all safety precautions regarding early warning sirens for incoming rockets. In case you hear a siren, seek shelter in a protected area and remain inside for at least 10 minutes. On February 9, the Egyptian Armed Forces (EAAF) Spokesperson announced the commencement of a large-scale “comprehensive” military operation to “eliminate all terrorist elements” across the country, called “Operation Sinai 2018”, with special emphasis placed on the Sinai Peninsula, Nile Delta, and Western Desert. The Spokesperson also announced an increase of the country’s alert level due to the operations. As part of the of the campaign, the Egyptian Air Force (EAF) intensified the frequency of its airstrikes targeting militant hideouts throughout North Sinai Governorate, especially in the Rafah-al-Arish-Sheikh Zuweid triangle and Central Sinai District. The Egyptian Navy increased its activity along Sinai’s coastal region, while heightened security protocols were recorded at ports and border crossings. Security forces also increased presence in the vicinity of vital infrastructure and installations. Reports from February 9 indicate that civilian Suez Canal crossings from mainland Egypt to the Sinai, including by vessel and through tunnels, have been closed to civilian traffic due to the military campaign. On March 8, the EAAF Spokesperson stated that Operation Sinai 2018 had yielded the deaths of 105 Islamic State (IS)-affiliated Wilayat Sinai fighters and the arrests of hundreds of the group’s militants, and that 16 soldiers had also been killed since the beginning of the campaign. The Spokesperson also announced that the EAAF destroyed 1,907 hideouts and weapon storehouses. The Egyptian government has achieved partial success in containing militancy threats over the past year, with a reduction in the overall number of attacks. However, the persistence, albeit reduced frequency, of attacks in North Sinai Governorate and mainland Egypt likely motivated this recent operation, demonstrating efforts to mitigate threats from multiple groups, particularly the IS-affiliate Wilayat Sinai. The large-scale attack at a mosque in North Sinai’s Bir al-Abd on November 24, 2017, which killed over 300 people, also likely triggered the operation, and it took a period of months to prepare and mobilize for the current operation. However, considering the timing of its commencement and execution, the primary motivation for the military campaign is likely political and connected to the upcoming March 2018 presidential elections, in which President Abdel Fatah al-Sisi is the leading candidate. President al-Sisi likely initiated the operations in order to boost his status among the Egyptian populace and project an image of power, stability, and intensified efforts to tackle the threat of militancy. Al-Sisi also likely timed the operation to deflect domestic and international criticism away from the election’s perceived lack of legitimacy and toward the issue of counter-terrorism, following the withdrawal or arrest of most of his electoral opponents over the past several weeks. To a lesser but still significant degree, the operation was also likely launched to draw attention away from Egypt’s poor economic conditions and towards a different public issue, namely militancy, and measures taken by authorities to tackle it. The operations also follow international media reports about Israeli airstrikes against Wilayat Sinai in North Sinai in recent years. The Egyptian government likely intends to use the operations to demonstrate their sovereignty over North Sinai Governorate and their ability to mitigate militant threats with their own forces. This is particularly likely in light of the heightened criticism regarding al-Sisi’s close cooperation with Israeli authorities vis-a-vis the threat of militancy stemming from Wilayat Sinai elements. Strategically, the nationwide campaign aims largely at isolating Wilayat Sinai militants in North Sinai Governorate. The reported closure of Suez Canal crossings to the movement of civilians, as well as the intensified activity by the Egyptian Navy along the Sinai coastal region, are meant to prevent reinforcements and smugglers from aiding Wilayat Sinai militants, thus putting further pressure on the Sunni jihadist militant group in North Sinai Governorate. The heightened security measures in the vicinity of vital infrastructure and installations likely were put in place to prevent reprisal attacks by militants, which in turn, would embarrass the Egyptian authorities. FORECAST: The EAAF will likely continue implementing a strategy aimed at further isolating Wilayat Sinai militants in their aforementioned strongholds of Central Sinai Distinct and the Rafah-al-Arish-Sheikh Zuweid triangle. By carrying out simultaneous assaults on these two areas, the EAAF likely seeks to fix militants in their positions, preventing them from reinforcing the two respective areas or conducting attacks to the rear of security forces. The intensified aerial bombardments are meant to hamper militant movements, which in turn, may impede their ability to regroup or conduct attacks in order to force the deployment of Egyptian troops away from the frontlines. Furthermore, tighter inspection is liable to be enforced between Egypt and Gaza at the Rafah border crossings. Israel permitted Egypt to deploy a large amount of forces into Sinai, as according to the 1979 Egypt-Israel Peace Treaty, Israeli permission is required for such a move. This highlights the increased coordination between the two countries, as they both perceived Wilayat Sinai as a strategic threat. In order to complicate and discourage the security coordination between the two countries, Wilayat Sinai may target southern Israel with rocket fire over the coming days and weeks. While in the short-term, the number of Wilayat Sinai attacks may decrease, given precedent of previous operations by the EAAF in North Sinai Governorate, over the coming months the Sunni jihadist militant group will likely renew its elevated activity in the region. The group will likely lower its profile in order to facilitate this, which would enable it to regroup and carry out multiple attacks against Egyptian security forces. Travel to Cairo and Alexandria may continue while adhering to all security precautions regarding militancy and civil unrest. Consult with us for itinerary-based travel recommendations. Avoid all travel to the North Sinai Governorate and border areas with Libya, Sudan, and Israel due to the persistent risk for militant attacks, kidnappings, and general lawlessness. We further advise to avoid nonessential travel to the Southern Sinai Peninsula, while maintaining heightened vigilance in the Suez Canal Zone, the Upper Nile area, and the Nile Delta region due to an increased risk of unrest and the heightened risk of militant attacks. Before traveling to Sharm al-Sheikh, confirm that flight operations are continuing and have not been impacted by recent militant threats. As a general security precaution, remain vigilant in areas surrounding and avoid the immediate vicinity of government installations, police stations, and religious centers, particularly churches, as these locations remain under elevated threat of militant attacks. When traveling in central squares, or in areas with persistent police deployments, avoid the immediate vicinity of security forces, particularly fixed traffic booths, as such personnel and facilities have increasingly come under attack by militant elements. According to the Israel Defense Forces (IDF), IAF aircraft targeted the Syrian Air Defense System, as well as Iranian military bases in Syria during the morning hours of February 10. Twelve targets, including three Syrian aerial defense batteries and four Iranian military targets, were attacked. The airstrikes reportedly targeted Iranian military bases in al-Kiswah, located south of Damasus. The attack was launched in retaliation to the penetration of an Iranian unmanned aerial vehicle (UAV) from Syria into Israeli airspace over the Golan Heights, as well as Syria’s shooting down of an Israeli F-16 with anti-aircraft fire earlier in the day. The latter led to at least one missile landing in Israel, sounding multiple code red sirens in the Golan Heights. Departures from Ben Gurion International Airport were temporarily halted and arrivals were delayed during the morning hours of February 10 due to increased IDF operations in Israeli airspace. However, further reports indicate that operations at the airport have resumed. According to incoming reports, the IAF conducted further airstrikes against unspecified targets near al-Kiswah during the late morning hours of February 10. The development is highly notable given that it marks the first Iranian launched UAV into Israeli airspace. The incident represents a significant escalation in hostilities between Israel on one side and Syria and Iran on the other. Although reports do not indicate whether the UAV was armed or not, the drone was likely being utilized for reconnaissance and attempting to gain intelligence on IDF troop positions in the Israeli Golan Heights. Such information would allow Iran’s proxy Lebanese Shiite Hezbollah to target IDF positions in Israeli Golan Heights in a future conflict. The IDF achieves two objectives by targeting Iranian installations in Syria. First, the Israeli government displays a lack of tolerance against any breach to its sovereignty, regardless of its severity. Second, the IDF utilizes such events to neutralize Iranian military facilities in Syria. The IDF has taken increasing efforts against Iran’s actions in Syria in light of the risk that it may pose to Israeli defense. Syria, however, also increased its efforts to retaliate against Israel, as witnessed in today’s incident. Syria’s response is even further significant in regards to this latest development given that it succeeded in shooting down an Israeli aircraft, a feat that the Syrian army has not achieved in recent years. Major successes for the Syrian army in its conflict with both rebels and the Islamic State (IS) likely emboldened it and increased its confidence in terms of conflict with Israel. Israel now faces an increasing threat when conducting such actions given the Syrian army’s higher morale and Iran’s evolving presence in Syria. Iran’s determination to build its own presence through proxies in Syria, mainly Hezbollah, and in sensitive locales along Israel’s northern borders highlights the risk that the IDF faces in the region. The Israeli government has made attempts both diplomatically and militarily to prevent a buildup of Iranian-backed forces at the border with the Golan Heights, yet this recent development shows Iran’s resilience in proceeding and Syria’s willingness to back Tehran, despite the consequences the Syrian government may face in its own civil war. The Iranian UAV may lead Israel to consider more serious measures in dealing with this threat presented by Hezbollah and other proxies. Israel has already conducted large-scale drills in recent months to simulate a Hezbollah infiltration into northern Israel. FORECAST: Israel will likely utilize the coming hours to target additional installations in Syria, as recent reports suggest, while Syrian forces may continue to respond forcibly. Syria’s response may include further missiles landing in Israel’s Golan Heights, leading to further code red sirens in the near-term. IED detonations, as well as RPG attacks targeting IDF soldiers positioned along the border also remain possible, though to a lesser extent. No side at this time is likely seeking a major large-scale escalation in conflict, especially Syria given its preoccupation in its own war. The US and Russia are also likely determined to achieve de-escalation between all sides given that such conflict may counteract their own interests in the region. Regardless, the Israeli-Syrian border region is likely to remain tense in the coming days and weeks as the IDF remains persevering in eliminating the threat presented by Iranian-backed proxies and as Syria likely responds to any infiltrations of its own sovereignty. Additionally, increased IDF operations in Israeli airspace may lead to further disruptions to commercial air traffic in the coming hours. Those remaining in Damascus should ensure that contingency and emergency evacuation plans are updated due to the potential for a further deterioration in the security situation. Additionally, those remaining in Damascus are advised to avoid all travel to outlying areas of the city given the persistent threat of militancy. On October 12, Fatah and Hamas signed a reconciliation deal in Cairo. According to the agreement, Hamas will hand over all Gaza government institutions to the Fatah-led Palestinian Authority (PA) by December 1. PA security forces will take control of the border crossing with Egypt, with certain sources indicating that this handover will be completed by November 1. The parties reportedly agreed to prepare for national elections and are scheduled to meet again in Cairo on November 21 to negotiate further issues. Previously, Hamas agreed on September 16 to dissolve its government in Gaza and reconcile with the Fatah-led Palestinian Authority (PA). The group also reportedly agreed at that time to hold general elections. Lastly, multiple Arab and Muslim countries welcomed the reconciliation agreement between the two parties, including Saudi Arabia’s Foreign Ministry on October 13. While in light of the failure of past reconciliations between the two parties it cannot be ruled out that the agreement will not materialize, given that the agreement serves the interests of both parties, it will likely manifest and be kept by Hamas and Fatah in the short- to medium-term. The reconciliation agreement between the two parties is likely part of the Hamas’s efforts to bolster its regional and international legitimacy. While the Fatah-led Palestinian Authority (PA) is widely accepted within the international community, Hamas is designated as a terrorist organization among many Western countries. Furthermore, Hamas has traditionally been resented by the prominent Arab countries, chiefly due to its rivalry with the PA, which is broadly supported across the region. Through reconciling with the PA, Hamas likely attempts to improve its relations with the Arab countries. This is highlighted by the Egyptian-mediated negotiations between the two entities, as well as the Hamas’ growing cooperation with the Egyptian security establishment regarding the threat of militancy in North Sinai in recent months. By improving relations with Egypt, a prominent actor that maintains close ties with Saudi Arabia, Hamas will likely bolster its relations with the Kingdom and other Arab countries. This is further strengthened by Saudi Arabia’s recent welcoming of the reconciliation agreement between Fatah and Hamas. Additionally, Hamas also demonstrated this effort in its new charter, which distanced the Hamas from the Muslim Brotherhood, a banned group in many countries. In the Gaza Strip, the agreement is likely a part of Hamas’ efforts to reverse the PA-instated sanctions in recent months, including halting power supply to the Gaza Strip, as well as withholding the salaries of thousands of Gaza-based civil servants. Should relations between Hamas and some of the Arab countries eventually improve, investments and donations may recover the Gaza Strip’s economy. In addition, the frequent opening of the Rafah border crossing may relieve pressure on the group in the Gaza Strip, coupled with the rapprochement between Hamas and the al-Sisi administration in Egypt. Such economic improvements in the Gaza Strip may allow Hamas’ local reputation to improve. However, should the economic improvement be perceived by Gaza’s population as linked to the PA’s efforts, it is possible that support for the PA among the Gaza Strip’s residents will increase, thus shifting the political environment towards the PA. In the West Bank, the agreement is likely part of Hamas’ attempts to increase its foothold. In this context, if elections eventually take place, Hamas will likely achieve significant gains, capitalizing on growing anti-PA sentiments across the West Bank. Multiple polls conducted among the Palestinians over the past several years have predicted Hamas’ victory in the event of elections. According to an opinion poll from September 20, if presidential elections take place, the chief of Hamas’ Political Bureau Ismail Haniyeh would win the elections with 49.8 percent, while the current PA president Mahmoud Abbas would achieve only 41.7 percent. With this in mind, the PA will likely seek to postpone such a scenario as much as possible to prevent the reduction of its power in the West Bank. For the Fatah-led PA, the agreement may serve its interests by granting PA security forces a degree of control in the Gaza Strip, including of its border crossings and local administration. Given the PA’s declining status among Palestinians, the reconciliation may allow the body to portray itself as siding with the “resistance” and rebuild its reputation. In addition, the development may be aimed at putting pressure on Israel, given the current lack of negotiations and low likelihood of such talks at this time. By forming a unity government, the PA likely seeks to counter one of Israel’s main arguments against the commencement of negotiations, namely the lack of one government representing the Palestinians. This would allow the PA to portray Israel as unwilling to negotiate a solution to the Israeli-Palestinian conflict. Iran will likely oppose this newly achieved agreement, given that it compromises its interests in the region by reducing the threat of militancy to Israel, as well as strengthens elements allied with its regional rival Saudi Arabia. Tehran is liable to attempt to thwart the materialization of the agreement, mainly by bolstering its support for factions within Hamas who are known for their traditional links to Iran, such as the group’s military wing, Izz ad-Din al-Qassam Brigades. This party, in turn, is likely to oppose the agreement given the influence it would allow other Arab countries at Iran’s expense, and more hawkish factions within the military wing may seek to thwart the agreement over the coming weeks, including by attempting to overthrow the current Hamas leadership in Gaza, as well as to escalate tensions with Israel into a broad conflict. For Egypt, the reconciliation agreement serves Cairo’s interest in mitigating the risk of militancy in the North Sinai Governorate. Over the past several months, Egypt has invested efforts to destroy militant infrastructure in Rafah city along the border between Egypt and the Gaza Strip, mainly to prevent the Islamic State (IS)-affiliated group Wilayat Sinai from smuggling weapons and fighters from Gaza into northern Sinai. Having pro-Egyptian security personnel along the border on the Gazan side, particularly PA-linked security forces, will enable cooperation with their Egyptian counterparts, subsequently reduce the threat emanating from such jihadist elements. Even in the event of Hamas security forces’ positioning along the border, in light of the ongoing rapprochement between Cairo and the faction in recent months, the Egyptian government’s interests are liable to be preserved nonetheless. The agreement also serves Saudi Arabia and its Arab allies’ interests. The Hamas-controlled Gaza Strip had been under Iranian influence, exemplified by efforts to arm Hamas’ military wing Izz ad-Din al-Qassam Brigades. By securing the presence of friendly elements within the Gaza Strip, namely PA officials, Riyadh would be able to gain a certain foothold in Gaza and potentially counter Iran’s influence. This could also be achieved by future investments by Saudi Arabia, as well as other Gulf Cooperation Countries (GCC), in the Gaza Strip. In addition, an agreement between the Saudi-backed Fatah-led PA and the Qatari-backed Hamas could possibly serve as a trigger for negotiations to solve the crisis between Qatar and the other GCC countries, as a cooperation may be required by Doha and Riyadh to oversight the agreement. FORECAST: Given Hamas’ refusal to disarm its military wing, as well as Israel’s interest in avoiding acknowledging Hamas as representatives of the Palestinians, peace negotiations are unlikely to commence at this time. However, given precedent of previous such reconciliation agreements, the ongoing security cooperation between Israel’s security apparatus and PA security forces will likely continue over the coming weeks and months, including in the form of arrests of Hamas militants. The agreement will likely reduce the potential for large-scale hostilities between Israel and Gaza-based militants. This is due to the expected improvement of economic conditions as a result of such an agreement. This includes salary payments to Gaza-based civil servants, particularly Hamas’ military wing’s operatives, which would diminish the group’s motivation to ignite hostilities. In the event of a localized escalation, in light of Egypt’s increasing rapprochement and growing influence on Hamas, Cairo would likely serve as a mediator between Israel and Hamas, thus reducing the potential for an exacerbation of hostilities. Nevertheless, Gaza-based Salafist and Islamic State (IS)-inspired militant groups will likely continue to target Israel with occasional rocket fire over the coming weeks and months in an attempt to drag Hamas and Israel into a broad conflict, with the long-term goal of weakening Hamas’ control over the Gaza Strip. Such elements may also carry out acts of militancy against PA elements and Hamas-affiliated interests, destabilizing the security conditions in the Gaza Strip, which in turn would serve as a fertile ground for the recruitment of new militants. Business-essential travel to Ramallah can continue at this time while adhering to basic security precautions regarding the threats of civil unrest and militancy. Consult with us for itinerary-based recommendations and ground support options. Avoid nonessential travel to other Palestinian-controlled areas of the West Bank at this time given the persistent threat of civil unrest. We advise against all travel to the Gaza Strip at this time due to continuous border crossing closures and the threat of militant activity. If travel is essential, prior to entering Palestinian-controlled areas from Jerusalem-area checkpoints, confirm that crossings remain open and no unrest is taking place. Crossings near the cities of Jenin, Qalqilya, and Tul Karem remain less prone to violence. Minimize night travel in major cities, as the majority of IDF and PA security operations occur at this time, particularly in the vicinities of Palestinian refugee camps. On July 14, three Arab-Israelis conducted a shooting attack inside the Temple Mount/al-Aqsa Compound in Jerusalem, in which they killed two Israeli Policemen and wounded a third. All three militants were subsequently shot and killed. In the aftermath of the attack, Israel closed the compound to all visitors in order to search it for additional weapons that may have been hidden on the premises. The compound was reopened by Israel on July 16 after metal detectors were placed at its entrances. 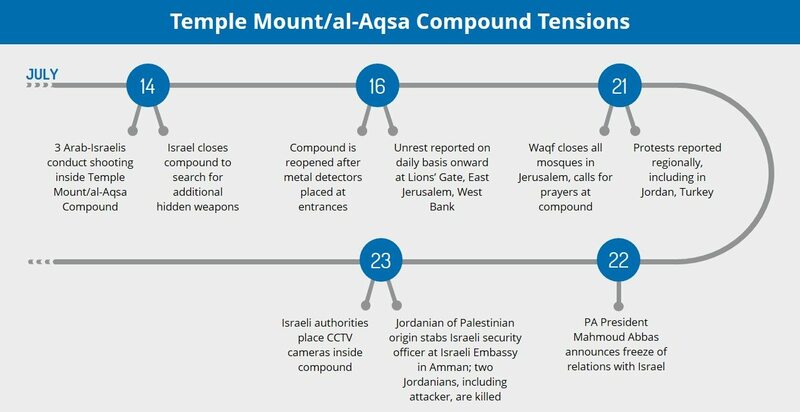 Additionally, during the overnight hours of July 22-23, Israeli authorities placed closed-circuit television (CCTV) cameras inside the compound as added security measures to prevent future attacks. The Arab and Muslim world widely condemned these added security measures, claiming that they were an Israeli attempt to alter the status quo at the religious site. As a result, the Jerusalem Islamic Waqf closed all mosques in Jerusalem on July 21 and called all Muslims to instead hold mass prayers in the Temple Mount/al-Aqsa Compound. In response, Israel allowed only women and men over the age of 50 to access the Old City on that day in order to mitigate the threat of unrest. Furthermore, on July 22, the President of the Palestinian Authority Mahmoud Abbas announced that the PA “froze all relations with Israel in response to the measures in Jerusalem”. Meanwhile, Hamas, which praised the July 14 attack, criticized the PA’s announced measures as “ineffective”. Nonetheless, since July 16, clashes at varying intensities between Palestinian protesters and Israeli security forces have taken place on a near-daily basis in the vicinity of the Lions’ Gate in Jerusalem’s Old City. Additionally, there has been a significant uptick in incidents of unrest in East Jerusalem and the Palestinian Territories. During the week of July 14-20, 32 instances of unrest were recorded in East Jerusalem, compared to an average of approximately six such incidents per week in the preceding four months. Moreover, demonstrations over this issue took place in several locations in the region. This was most prominent in Jordan’s Amman, where weekly Friday protests drew gatherings in the high-hundreds, and in Turkey, including in major cities such as Istanbul, Ankara, and Izmir, with crowds in the low hundreds in each event. 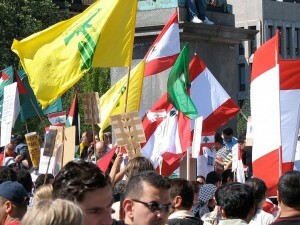 Additional small scale demonstrations took place in Bahrain and Morocco. Lastly, On July 21, three Israelis were killed when a militant entered their house in the West Bank Israeli town of Halamish. Additionally, on July 23 a Jordanian of Palestinian origin stabbed an Israeli security officer inside the Israeli Embassy compound in Amman, Jordan, and was subsequently shot and killed along with a bystander. Finally, on July 24 a Palestinian conducted a stabbing attack in Petah Tikva, Israel, and claimed to have done so “for al-Aqsa”. While the events in Jerusalem garnered significant attention in the Arab and Muslim world and led to major incidents of unrest, unless unexpected events unfold, it is likely that the situation will be resolved in the coming days or weeks, particularly as it is in the interest of the majority of the actors involved in the process. In this context, Israel likely has no interest in causing an escalation in violence with the Palestinians, as well as with the Arab and Muslim world as a whole. That said, this is unlikely to deter Israel from ensuring that security is maintained in the compound, especially after the recent attacks and subsequent domestic criticism on lack of effective security at such a sensitive locale. Similarly, an escalation would be counter to the interests of the PA, as such a development will likely empower Hamas at the expense of the PA, and will threaten the latter’s hold in the West Bank. As a result, Abbas’ announcement of “freezing all relations with Israel” was likely meant to pertain to the hardliners in the West Bank and offset any potential influence by Hamas, and to a degree, serve as leverage against Israel, rather than being an effort to encourage additional hostilities. A political solution regarding the situation in the Temple Mount/al-Aqsa Compound will likely be reached in the coming days or weeks with mediation by the US and Jordan. Such a solution may include the complete removal of metal detectors at the compound, while the CCTV cameras, or an alternative means of monitoring the security situation at the site, remain in place. This is particularly likely as Israel demanded that such monitoring devices should be placed at the compound for months before the recent hostilities started, but was rejected by the Waqf due to claims that this will compromise the status quo at the site. Such a compromise may leave both sides content, as the PA will achieve the symbolic victory of having the metal detectors removed, which have become a symbol of the recent hostilities, while Israel will maintain the additional security measures that it had previously sought. Meanwhile, the incident in Jordan may cause diplomatic complications between the Hashemite Kingdom and Israel, and therefore, may adversely affect negotiations as Jordan de-facto controls the Jerusalem Islamic Waqf, which has authority over the Temple Mount/al-Aqsa Compound. Nonetheless, it is in the interest of Jordan as well to prevent a further escalation in hostilities. Therefore, any effect that the situation may have will likely be limited to prolonging the negotiations and possibly forcing Israel into making further concessions. Regionally, unrest revolving around the issue has likely reached its peak and such demonstrations are beginning to lose momentum. With this in mind, demonstrations will likely continue until the political issue is resolved, however, will gradually decline in their scope and scale, and will mostly affect Turkey and Jordan, the latter mainly on Fridays which are the preferred day of such gatherings. Additionally, in the period leading to the eventual likely agreement, the threat of low-level, “lone-wolf” attacks against Israeli or Israeli-affiliated targets, similar to that witnessed in Jordan on July 23, will be heightened, but will likely revert following the eventual settling of the issue. Furthermore, there is an increased threat of lone-wolf attacks in general, particularly in Western Europe, by individuals motivated by the perceived violation of the Temple Mount/al-Aqsa Compound and claims of harm against the holy site. Locally, in Israel and the Palestinian Territories, incidents of unrest are likely to experience a similar trend as the regional ones, with the coming Friday possibly experiencing a last peak in such activities before these gradually reduce until the conclusion of the political issue. The only likely exception to this is East Jerusalem, where protests and acts of unrest are likely to persist at a high rate in the coming weeks, as the population in this area is under greater influence from Islamist organizations, compared to mainstream political ones like the PA, and may not be satisfied with any potential compromise. In terms of militancy, the coming weeks will likely continue to witness a relative heightened rate of “lone-wolf” attacks against Israelis, mostly consisting of stabbing, vehicular, Molotov cocktail, and low-level shooting attacks, focusing on Jerusalem, the West Bank, and to a lesser degree, Israel. While these are likely to eventually reduce in their scope and scale, given precedent, it remains possible that they will persist at a high rate, causing a lingering heightened threat of militancy over the coming months. Furthermore, while it is in the interest of Hamas to cause an escalation in the West Bank as mentioned above, a significant escalation of hostilities in the Gaza Strip will be against the organization’s interests as a potential Israeli response will pose a significant threat to it, and is therefore unlikely to take place. Nonetheless, limited attacks, mostly in the form of low-level and short range surface-to-surface rockets against Israel, will likely be initiated at a relatively higher rate by Salafist militant groups based in the Gaza Strip. 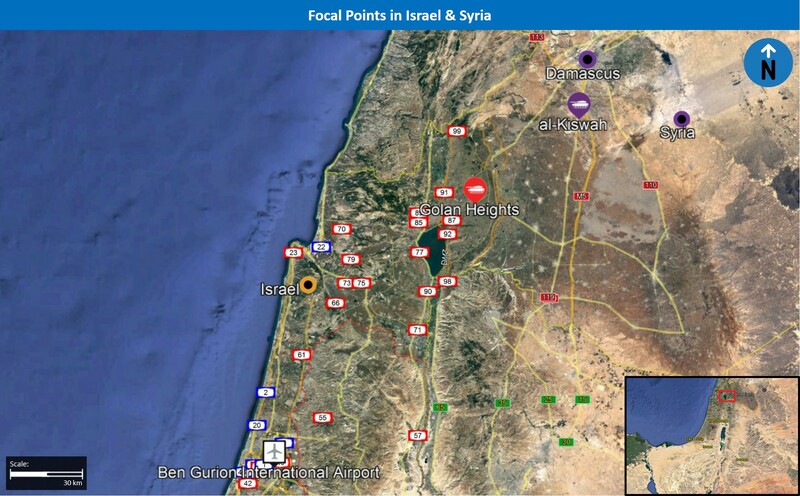 Travel to Israel may continue at this time while adhering to security precautions regarding militant attacks, while avoiding the immediate vicinity of the Syrian, Lebanese, and Egyptian borders, due to the persistent risk for cross border violence. Those traveling in the 40 km area surrounding the Gaza Strip should continue adhering to all safety precautions regarding early warning sirens for incoming rockets. In case you hear a siren, seek shelter in a protected area and remain inside for at least 10 minutes. In major Israeli cities, remain vigilant in crowded commercial areas or public transport hubs, as these locations have been targeted by militant groups in the past. Alert authorities to suspicious, unattended packages in these areas. As a general precaution, avoid nonessential travel to the vicinity of Jerusalem’s Old City, particularly in the vicinity of Lions’ Gate, due to the reported clashes and a recent heightening of tensions between East Jerusalem residents and Israeli security forces. Business-essential travel to Ramallah can continue at this time while adhering to basic security precautions regarding the threats of civil unrest and militancy. Consult with us for itinerary-based recommendations and ground support options. Avoid nonessential travel to other Palestinian-controlled areas of the West Bank at this time given the persistent threat of civil unrest. We advise against all travel to the Gaza Strip at this time due to continuous border crossing closures and the threat of militant activity. If travel is essential, prior to entering Palestinian-controlled areas from Jerusalem-area checkpoints, confirm that crossings remain open and no unrest is taking place. Crossings near the cities of Jenin, Qalqilya, and Tul Karem remain less prone to violence. Maintain heightened vigilance given the potential for demonstrations and associated acts of unrest related to the Temple Mount/al-Aqsa Compound tensions. Avoid the vicinity of any such gatherings. Additionally avoid the immediate vicinity of Israeli diplomatic missions, due to the increased risk for acts of militancy targeting these locales. Contact us at [email protected] or +44 20-3540-0434 for itinerary and contingency support plans. On May 1, Hamas’ Political Bureau Chief Khaled Mashaal revealed during a press conference in Doha, Qatar a revised version of the group’s charter, accepting the idea of a Palestinian state according to the June 4, 1967 borders. However, according to the charter, the group still does not recognize the state of Israel. In addition, the new charter stresses that the “struggle is against the occupation and not against the Jews”. Meanwhile, according to Mashaal’s summary of the changes to the charter, Hamas will not abandon armed struggle nor “give up one parcel of Palestinian land,” and “strives to liberate all Palestinian lands from the river to the sea” (referring to the Jordan river and the Mediterranean, including the state of Israel). Additionally, Hamas distances itself from the Muslim Brotherhood and pan-Islamic notions. This contradicts the previous charter which indicated the group’s role in the global Islamist militancy theater. Furthermore, the new document defines the group as follows: “The Islamic Resistance Movement ‘Hamas’ is a Palestinian Islamic national liberation and resistance movement. Its goal is to liberate Palestine and confront the Zionist project. Its frame of reference is Islam, which determines its principles, objectives and means”. Lastly, the group dismissed all previous agreements signed between Israel and the Palestinian Liberation Organization (PLO), including the 1993 Oslo Accord. We assess that the newly published charter is an attempt by the Islamist Palestinian faction to rebrand itself, rather than forming a new strategic approach towards the Israeli-Palestinian conflict. This is despite the stated acceptance of the June 4, 1967 borders, which is largely viewed as the main component of the “two-state solution”, as opposed to the group’s previous charter version. This assessment is backed by the group’s emphasis on not “giving up one parcel of Palestinian land,” and that it “strives to liberate all Palestinian lands”. As part of this effort at rebranding, the group seeks to project a more moderate stance to the international community, particularly to Western countries, as some of these countries designate it as a terror organization. This attempt to project a more moderate stance is reflected by the group’s statement concerning their “struggle against the occupation and not against the Jews”, as opposed to the previous charter, which called for a “campaign against the Jews in Palestine”. With this in mind, by issuing this revised charter, Hamas likely strives at bolstering its image and increasing its legitimacy as a political entity in the eyes of the international community. This potential shift in Hamas’ approach towards the West may partially be explained by the group’s likely perception that some of the current Western governments have altered their stances towards the Israeli-Palestinian conflict to a more pro-Israeli attitude, particularly that of the Trump administration. This is further relevant regarding the charter’s distancing of Hamas from the global Islamist militancy theater, in a likely effort to alienate itself from jihadist elements globally, thus further enhancing its legitimacy in the international community. 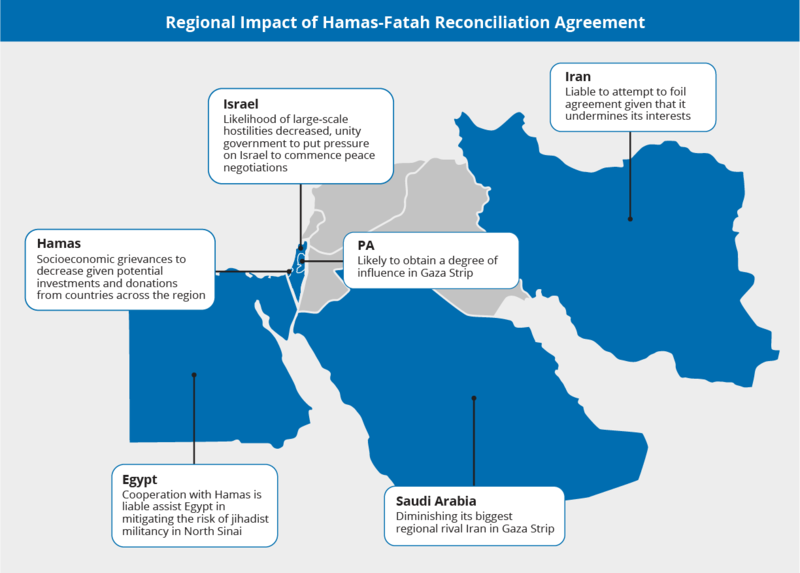 This is also relevant with regard to the region’s leading Arab countries, most notably Egypt and the Gulf Cooperation Countries (GCC), with which Hamas has made persistent efforts at rapprochement over the past several months. By distancing itself from the Muslim Brotherhood, the Palestinian group likely seeks to improve its relations with such Arab states in light of the decreasing popularity and influence of the Muslim Brotherhood organization across the region, as it is has been banned and designated as a terror organization in these countries. This is further likely within the context of the ongoing economic and energy crisis in the Gaza Strip. In this respect, Hamas potentially desires financial support from some of the GCC countries to alleviate this crisis. Meanwhile, domestically, we assess that the new revised charter is part of the group’s efforts to increase its support among the Palestinian people, particularly those living in the West Bank. By expressing its willingness to accept the idea of June 4, 1967 borders, Hamas positions itself closer to the general consensus of Palestinians in the West Bank surrounding the potential resolution of the Palestinian-Israeli conflict. Over the past several years, multiple opinion polls among Palestinians have indicated that a majority support the “two state solution” without the renouncement of the “Right of Return”, namely the return of all Palestinian refugees to Israel’s 1949 Armistice (Green Line) territory, including during a recent poll in February. Furthermore, while in its previous charter the group emphasized the Palestinian national movement as a tool to promote the Islamist agenda, the current version emphasizes instead that Islam remains a guideline and a component within the Palestinian national identity, thus elevating the status of the “local” component of the movement at the expense of the “global”. Because religion constitutes a smaller component of the identities of large segments of Palestinians living in the West Bank, in comparison to those in the Gaza Strip, Hamas likely attempts through this new rhetoric to appeal more to these Palestinians, as a part of such efforts to gain support in the West Bank. Given that we assess that Hamas has not changed its stance regarding Israel or the resolution of the Israeli-Palestinian conflict, the charter is unlikely to affect or improve the prospect for future negotiations between Israel and the Palestinians. This is underlined by Hamas’ refusal to recognize Israel, its rejection of previous agreements between Israel and the PLO, as well as issues mentioned in the new charter, including the “liberation” of all of Palestine as defined by the group, as well as the insistence on the “Right of Return”, which Israel traditionally rejects. As a result, even if negotiations between Israel and the Palestinian Authority (PA) eventually materialize, potentially although not likely including Hamas backing the Fatah-led PA, we assess that they are unlikely to bear fruit in the coming month and years. Furthermore, despite such efforts to appear more moderate, this shifting public image does not indicate an improved relationship with the PA, which is currently strained. Efforts by Hamas to appeal to Palestinians in the West Bank are not likely to be perceived positively by the PA, given that the PA continues to view Hamas as undermining its rule in the West Bank. As a result, tensions between the two parties will likely continue over the coming months, including in the form of additional arrest operations targeting Hamas activists and militants throughout the West Bank and potential implementation of political sanctions by the PA on Hamas’ political activity in this area. Finally, with respect to security, the charter is unlikely to change the potential for large-scale hostilities and a future broad conflict between Israel and Gaza-based Palestinian militant factions. This is highlighted by Hamas’ calls to not abandon armed struggle nor reduce its claims on Palestinian land, as well as its continued efforts to rebuild its militant capabilities, including by manufacturing rockets and explosives, ground maneuvers, test firing of rockets, and the construction of attack tunnels. As a result, in spite of this new document, we continue to assess that the likelihood for a broad conflict over the coming months remain low-medium at this time. Moreover, despite the abovementioned efforts to increase its foothold, in the short-term, the security environment in the West Bank is liable to remain at the same level. While Hamas will likely continue its attempts to conduct sophisticated acts of militancy against Israelis in the West Bank, given the Israeli security apparatus’ broad experience in mitigating this threat, the majority of such plans will likely be thwarted. Business-essential travel to Ramallah can continue at this time while adhering to basic security precautions regarding the threats of civil unrest and militancy. Consult with us for itinerary-based recommendations and ground support options. Avoid nonessential travel to other Palestinian-controlled areas of the West Bank at this time given the persistent threat of civil unrest. We advise against all travel to the Gaza Strip at this time due to continuous border crossing closures and the threat of militant activity. If travel is essential, prior to entering Palestinian-controlled areas from Jerusalem-area checkpoints, confirm that crossings remain open and no unrest is taking place. Crossings near the cities of Jenin, Qalqilya, and Tul Karem remain less prone to violence. Minimize night travel in major cities, as the majority of IDF and PA security operations occur at this time, particularly in the vicinities of Palestinian refugee camps. Recent engaging of Israeli Air Force (IAF) aircraft by surface-to-air missile launched from Syria is indicative of the remaining, albeit limited capabilities of the Syrian Air Defense Forces (SyADF). Moreover, it likely points to a shift in the Syrian government’s approach to perceived violations of its sovereignty by Israel, taking a more proactive and aggressive military stance, likely due to recent successes and strong backing from Russia. As the IAF’s volume of operations is unlikely to be hindered by this reemerging threat, similar incidents are liable to occur in the coming months. While not posing a direct threat, these still pose a very limited indirect threat to civil aviation, particularly in Israel’s northern areas. Prior to 2011, Syria maintained a strong air defense force – the Syrian Air Defense Forces (SyADF). Its reference threats were primarily from Israel and to a lesser degree from Turkey, featuring a possible conflict with a superior air force, and lending to an investment in assets that would offset their enemies’ advantages, namely surface-to-air missiles. This was set up as a layered defense, with a variety of stationary, mobile, and man-portable systems allowing to cover the greatest possible ranges while offering redundancy and survivability of assets in case these systems would be targeted. Following the commencement of the Syrian civil war, the Syrian government’s reference threat changed from that posed by a neighboring conventional military to that posed by domestic paramilitary forces that strictly rely on land warfare in regular and irregular fighting scenarios, namely rebels and militants. This induced a change in the Syrian Armed Forces’ force structure and resource allocations, which placed the SyADF at a lower priority compared to other forces deemed more valuable to the new type of conflict. Additionally, large numbers of the SyADF platforms were captured or destroyed by rival forces throughout the conflict, significantly damaging its capabilities. That being said, the SyADF was not disbanded and was still maintained as a fighting force, however not to a comparable level to that of the pre-war era. Stationary: SA-2, SA-5 – maximum range 240 km. Semi-mobile: SA-3 – maximum range 35 km. 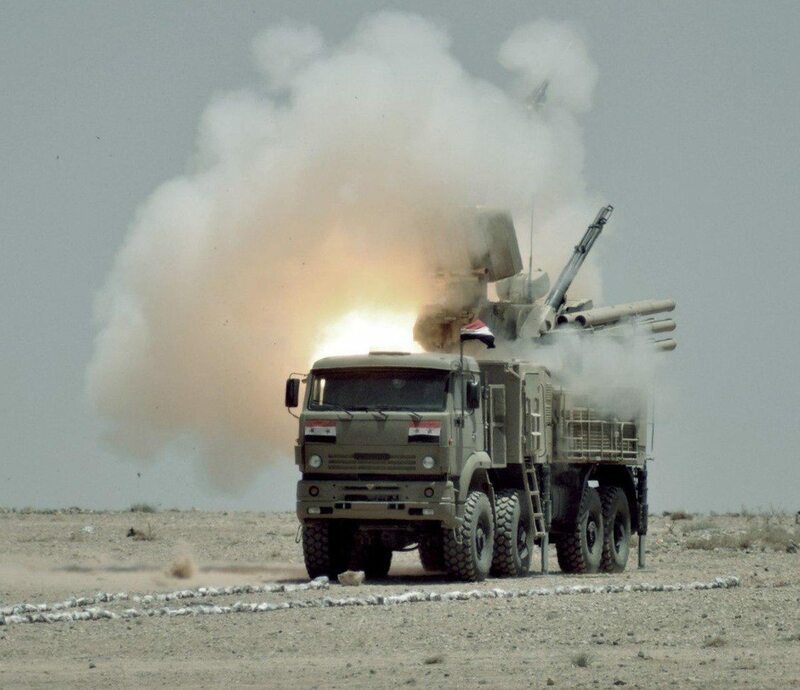 Semi-mobile: Russian operated in Syrian territory: SA-23 – maximum range 250 km. Mobile: SA-6, SA-8, SA-9, SA-11, SA-13, SA-17, SA-19, SA-22 – maximum range 35 km. Man-portable air-defense systems (MANPADS): SA-7, SA-14, SA-16, SA-18, SA-24- maximum range 5 km. Historically, Hezbollah, due to its status as an organization committed to guerilla warfare in the military sphere and the difficulties associated with operating high-profile weapons system resulting from Israel’s longstanding aerial superiority over Lebanon, was not able to acquire surface-to-air platforms. Instead, the organization made efforts to acquire man-portable air-defense systems (MANPADS), which are of lower profile however also have significantly limited capabilities. That said, due to Hezbollah’s large-scale intervention in the Syrian conflict in support of the government, the organization increasingly adopted conventional tactics and weapons systems, including being trained and gaining experience in the operation of surface-to-air missile systems. Additionally, operating in Syria made it more difficult for Israel to acquire the same level of intelligence and take comparable measures against Hezbollah as it does in Lebanon. As a result, Hezbollah constantly makes significant efforts to acquire mobile surface-to-air systems in order to offset Israel’s relative advantages against the group, in preparation for a future possible broad conflict between the sides. Such mobile systems have reduced ranges compared to the stationary ones, but also require less infrastructure and support to operate, and have a lower profile increasing the survivability rate. In this context, there are unconfirmed reports that the group was able to acquire an SA-8 and according to reports, the IAF foiled several Hezbollah attempts to acquire SA-17s, however it cannot be ruled out that such an attempt was successful at some point in time. Additionally, even if acquired by Hezbollah, it remains possible that such systems are still in Syria, and were not yet deployed to Lebanon. Lastly, there are unconfirmed reports that Iran had exported Shahab Thaqeb platforms, a copy of the chinese HQ-7, to Hezbollah. Mobile: SA-8, SA-17, Shahab Thaqeb- maximum range 8/25 km. MANPADS: SA-7, SA-14, SA-16, SA-18, QW-1, Misagh-1, Misagh-2 maximum range 5.2 km. The remaining capabilities of the SyADF, limited as they currently are, were portrayed in the recent firing of an SA-5 against an Israeli Air Force (IAF) aircraft on March 17. This retaliatory action is notable as the overwhelming majority of previous airstrikes against pro-Syrian government targets that were attributed to the IAF, as recent as November 30 2016, did not encounter any direct countermeasures by the SyADF. Furthermore, the incident comes amidst ongoing general positive momentum for the Syrian government and its allies (including Hezbollah) in the ongoing Syrian conflict, which yielded several strategic successes. This likely contributed to a shift in the Syrian government’s position regarding what it perceives as a violation of its sovereignty by Israel, placing it as a “red line” which warrants immediate countermeasures, possibly followed by a more calculated retaliation, which Israel likely preempted in a subsequent airstrike on March 19. The calculated nature of events are further evident in the immediate summoning of the Israeli ambassador by Russia, which backs the Syrian government, as well as the seeming coordination with the Syrian Foreign Minister, who sent letters to the UN’s Secretary General and President of the Security Council accusing Israel of violating Syrian sovereignty and UN resolutions. Moreover, this serves as indication of the strong support lent to the Syrian government by Russia, which is a major factor contributing to the aforementioned shift in strategy. With this in mind, further similar incidents in which IAF aircraft are engaged by the SyADF following airstrikes against targets in Syria are likely to occur in the coming weeks and months, following the aforementioned shift in the Syrian government’s strategy. This is particularly likely since the IAF is liable to maintain its current strategy of limited scale and scope operations in Syria in order to prevent Hezbollah from acquiring what Israel perceives as “game changing” weapons systems, or to eliminate fighters perceived as planning direct military action against Israel, both of which designated as “red lines” by Israel. To a lesser extent such a response may be conducted by Hezbollah should they be able to acquire relevant weapons systems, given the strong cooperation between the Syrian government and Hezbollah, as well as due to the IAF’s use of Lebanese airspace to conduct at least some of its airstrikes in Syrian territory. 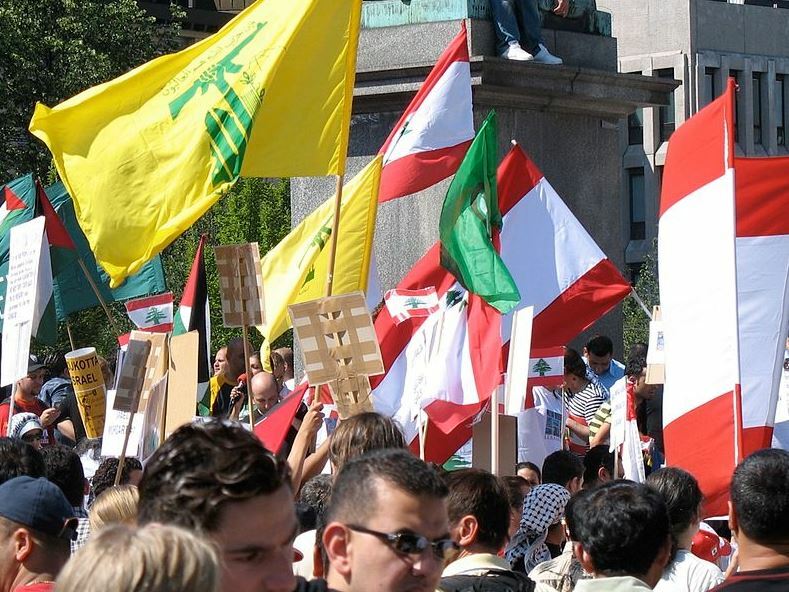 However, Hezbollah is more likely to retain such valuable assets for use as a strategic surprise in a possible future round of hostilities with Israel and not to expose them and thus risk losing them in what Hezbollah perceives as a less important scenario. However, the new situation may entail further complication between Russia and Israel, given the former’s staunch support for the Syrian government, in which Russian forces currently in theater will confront IAF aircraft should the letter be perceived as posing a strategic threat to the Syrian government and Russian regional interests. Such a scenario would not be unprecedented, as Russian aircraft reportedly scrambled in the past to confront IAF aircraft in or near Syrian airspace, most recently as April 2016. While so far such incidents did not result in hostilities between Russian and Israeli forces, a recurrence of IAF airstrikes in Syria facing ground fire, as is currently expected, contributes to growing tensions between Israel and Russia, and through that the possibility, albeit a low-likelihood one, of direct hostilities between the sides, most likely as result of a spiral of mistakes and/or miscommunication. Taken as a whole, at this time any possible firing of a surface-to-air missile from Syrian territory in response to an IAF airstrike is liable to target IAF military aircraft. However, while not posing a direct threat, such events will pose an indirect threat to civil aviation in the region to a limited degree. This is due to the fact that in case a missile misses its designated target due to maneuvering or countermeasures, and is not intercepted as was the case in the latest incident, the missile may automatically lock on and engage the nearest available target, regardless of if it is military or civilian. At the current state of affairs the Syrian government is uninterested in an escalation with Israel and thus the SyADF is unlikely to engage aircraft over central Israel, despite potentially having the capabilities to do so, as this too will be considered a “red line” by Israel, and therefore such a risk is limited to the northern areas of the country. Interested in signing up to receive more special reports such as this? Sign up here for a free trial. Hezbollah has claimed responsibility for a recent bombing attack near the Israeli border. On the seven-year anniversary of the 2006 Second Lebanon War, Hezbollah Secretary General Hassan Nasrallah claimed responsibility for an August 7 explosion in the Israeli-Lebanese border area, near the town of Labboune. That day, at least one explosive device injured four Israeli soldiers, who were accused by Lebanese parties and UNIFIL of crossing into Lebanese territory during a patrol in an un-demarcated area of the border. Hey Buddy!, I found this information for you: "Strategic Analysis: Lebanese-Israeli border tensions marked by erosion of UN resolution 1701". Here is the website link: https://www.max-security.com/reports/strategic-analysis-lebanese-israeli-border-tensions-marked-by-erosion-of-un-resolution-1701/. Thank you.